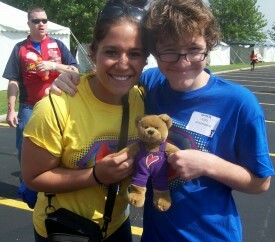 My story is not easy to listen to in the beginning, but by the end Special Olympics and Dream Catchers changed my life. I have been a Special Olympics athlete for 9 years. My first experience was of track & field since that’s all my town offered, but it was great. 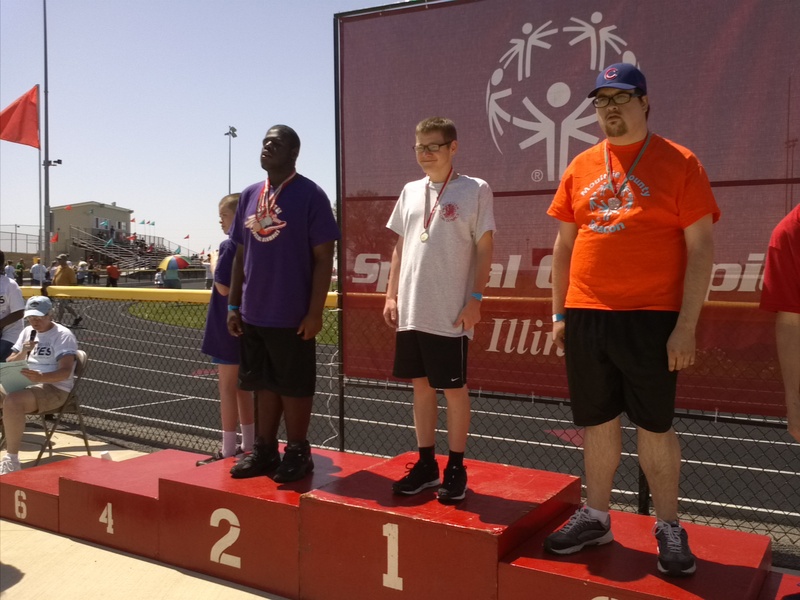 My first Special Olympics competion, I did not get to state, so the next year I worked hard and made it. It was awesome. I had a couple more years of state experience, but nothing other than track & field. In February 2013, I was falsely arrested and could not compete for a year while I was on home arrest. In August 2013, all charges were dropped, but in my town I felt like an outsider. I felt rejected at school, my so-called friends wouldn’t be seen with me. The police still would not let me anywhere but my house and yard. I didn’t feel welcome around the Special Olympics athletes at school. I did get to compete and went to Summer Games, but I didn’t stay with school athletes. I was sad and didn’t understand why I was being shunned. My mom (pictured above) was awesome and she got ahold of Area 10 Director Joanie Keyes and asked if we were willing to travel, was there anyone that would let me compete with them. That’s when we found Dream Catchers. Paula and Bill Boys excepted me on the spot – no arguement or questions. It was awesome. I got to bowl last year and went to Peoria for Regionals. I played basketball, my favorite sport, this year and we made it to the state tournament in Bloomington-Normal, earning gold in our division! I will be going for training in the fall to be a Global Messenger and I am so excited. My new friends are now family to me. They accepted me with no questions, I’m just part of the group just like one of them. They treat me great, like I’m one of them from the first practice. 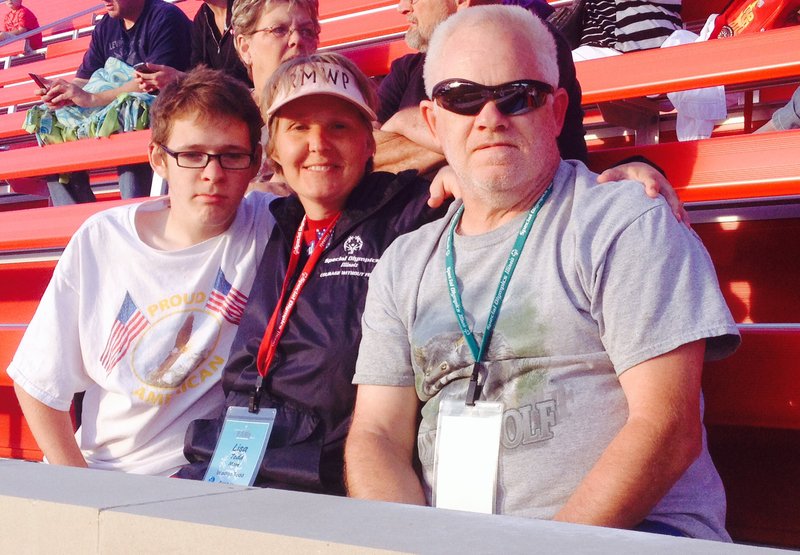 Without Special Olympics, I don’t know what would have become of me. I never left my room and was picked on and bullied a lot, but now with the help of the Special Olympics and the Dream Catchers, I have a whole new outlook on everything. I am in a program now that will help me attend college once I graduate which was not supposed to happen. But after Special Olympics teaching me strength and courage, we fought the school and now I will graduate with my class in 2015. I want to excell in everything now and am in a program that will help me find a job. 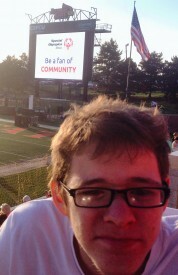 But none of it would not have been possible without the support and love I received from everyone at Special Olympics. Thank you for giving me a chance to live again and now the world is at my hands.